Winter’s gentle exit;a promise of what’s to come. Simple beauty. 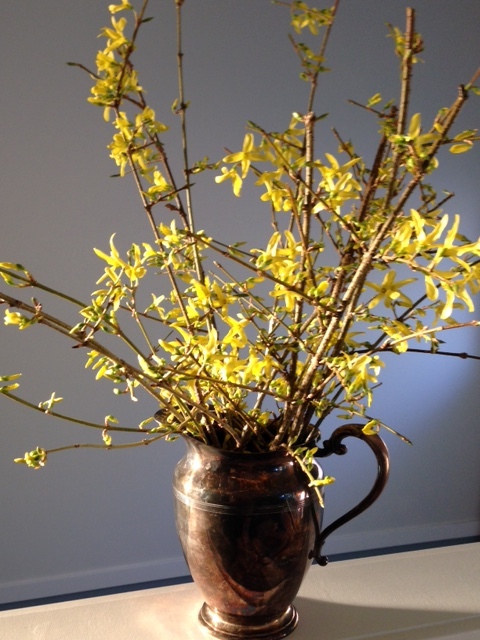 Branches of forsythia, cut from the gnarly tree, grace unpolished silver. I love those first signs of spring! ~ especially our friends on the East Coast!